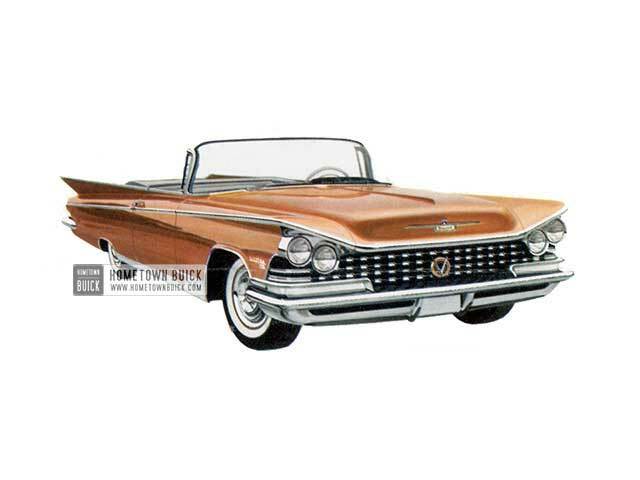 The 1959 Buick Electra 225 Convertible is ultimate in long, low exterior styling, with the most luxurious interior of any convertible on the road. What's more, you can offer a choice of bucket seats or regular seats. 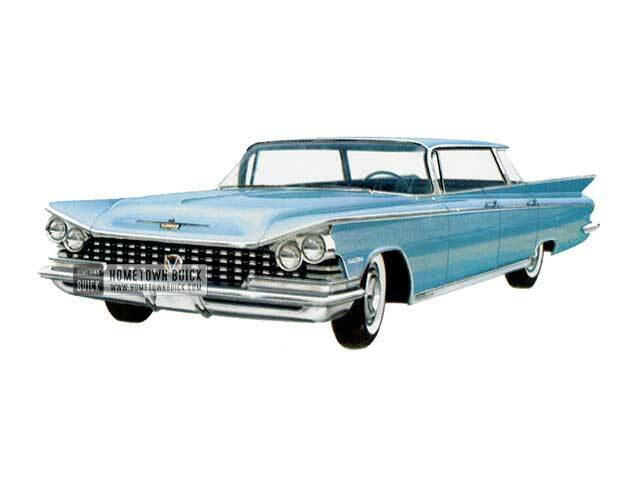 Long, low and luxurious, the 1959 Buick Electra 225 Riviera is the new queen of the hardtops and has more than 5,200 square inches of glass area-perhaps the most safety plate glass ever built into a sedan. Here's a car people will stare at admiringly wherever it is parked. 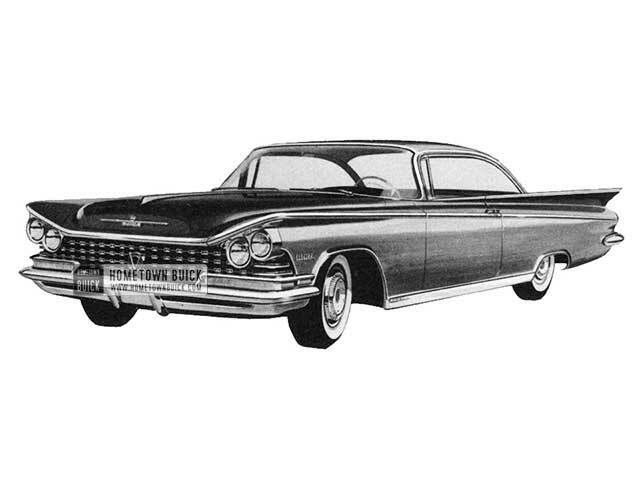 The 1959 Buick Electra 225 Hardtop Sedan - Model 4839 - has low, rakish lines and its graceful hardtop styling combine to make it look longer than it actually is. 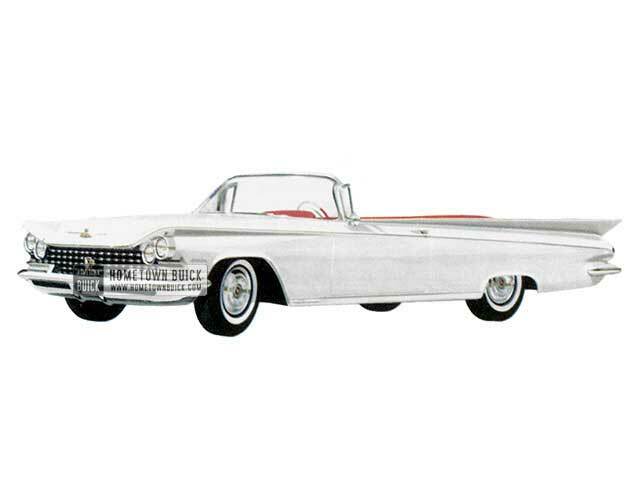 One of the lowest, most beautifully styled cars on the road, this new 1959 Buick Electra Hardtop Coupe has amazing glass area for a 2 Door model ... over 5,009 square inches. 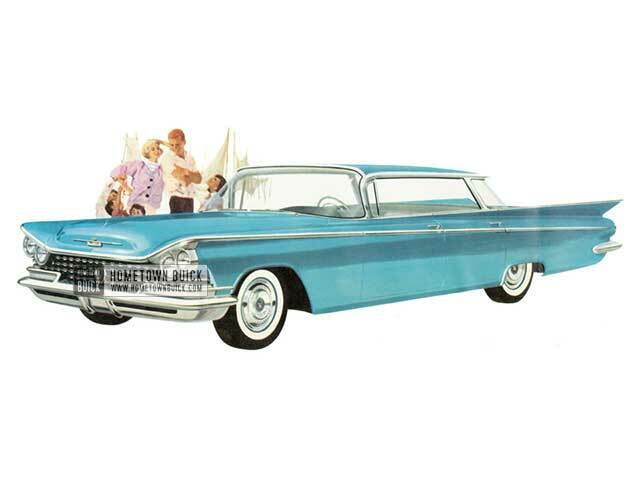 Here in a 4-Door sedan, with a thin center pillar, is all the verve and fleetness usually associated with hardtops - the 1959 Buick Electra Sedan - offering conventional styling, but with a flair! 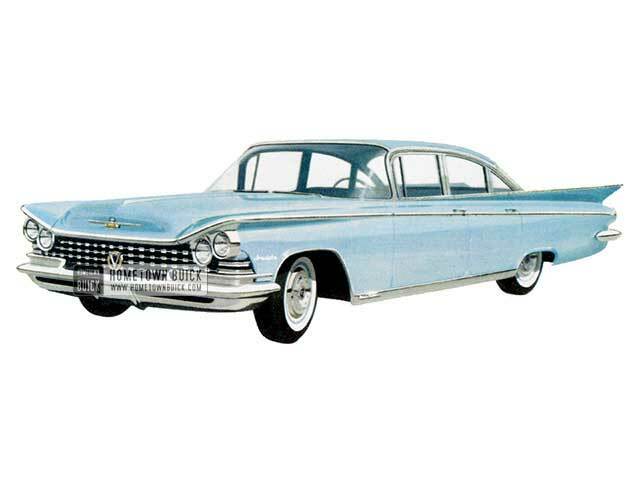 The 1959 Buick Electra Hardtop Sedan - Model 4739 - is an elegant hardtop measures only 54.8 inches from road to rooftop, but it offers all the room and luxury that even the most exacting people could want. Most spirited convertible on the road today - in looks and in action. For the rapidly growing ‘family sports car’ market, this 6-passenger beauty is the car to watch! 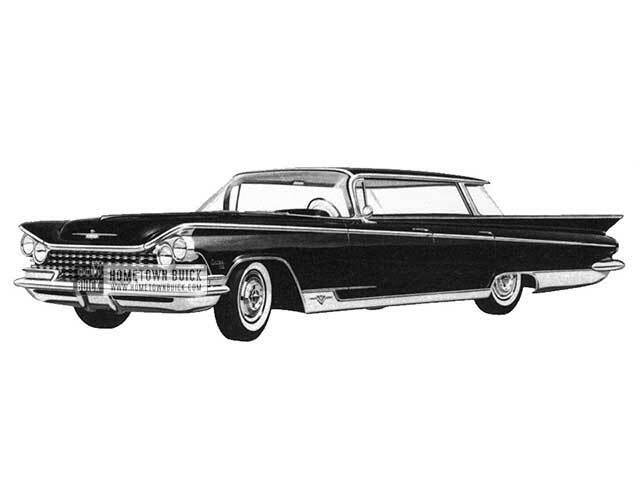 Here is America's most rakish hardtop styling combined with America's hottest passenger car performance. 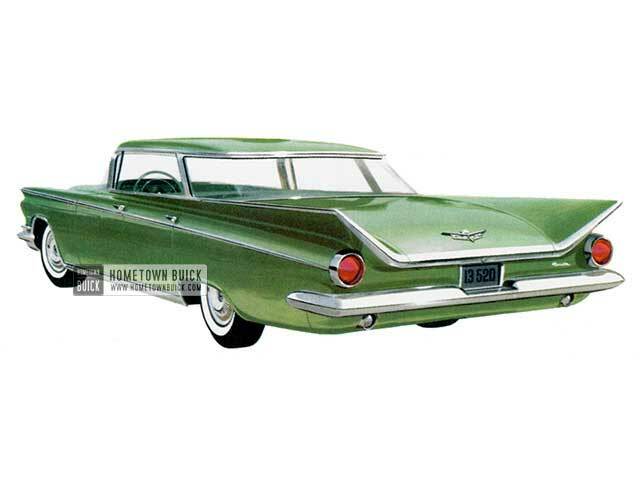 The 1959 Buick Invicta Hardtop Sedan is a combination that competition just can't match. 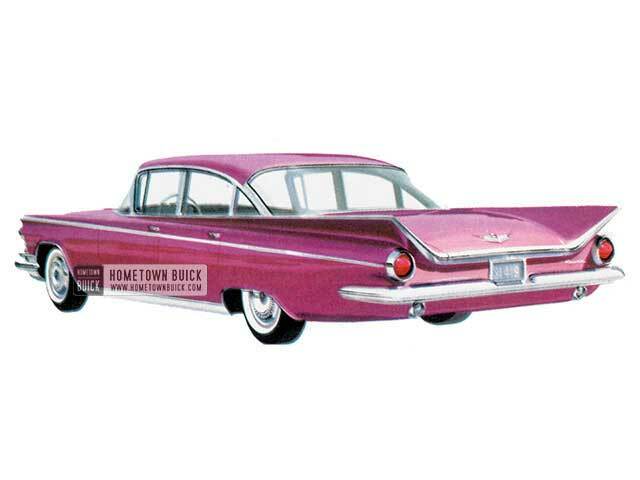 Much of the dash and vigor of hardtop styling is offered here in the 1959 Buick Invicta Sedan - a regular thin-pillar sedan plus spirited, sparkling performance that is unmatched in its price class. 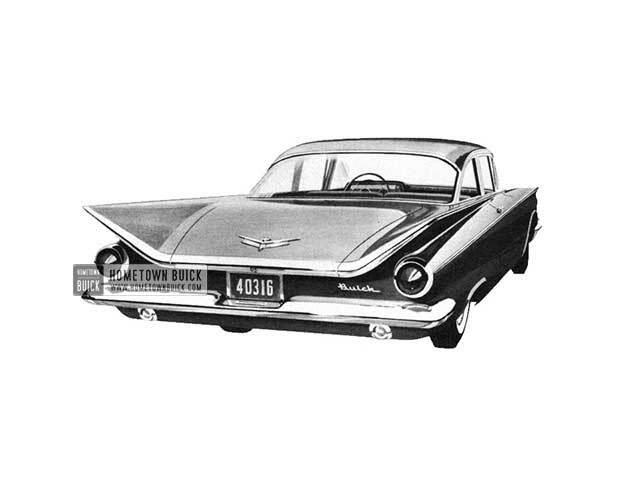 The 1959 Buick Invicta Hardtop Coupe is racy, two-door hardtop with an exceptionally high rear window and generous glass area all around. Its fleet, low-built styling makes it look like the dazzling performer it is. 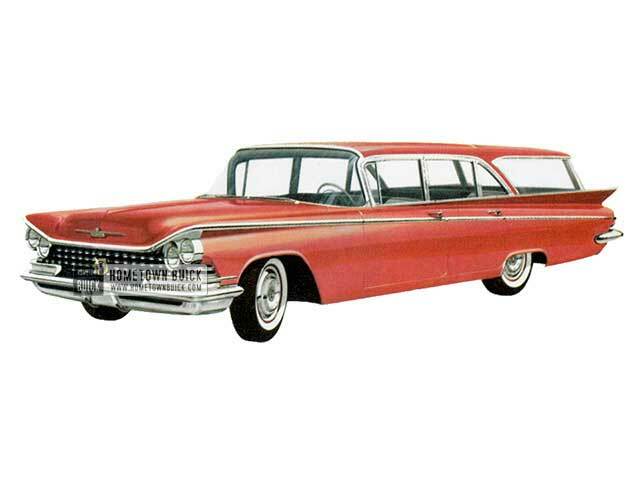 The 1959 Buick Invicta Estate Wagon has the same size as LeSabre Estate Wagon - plus even greater luxury and performance. New extending rear roof with water gutter makes both Buick Estate Wagons all-weather performers. 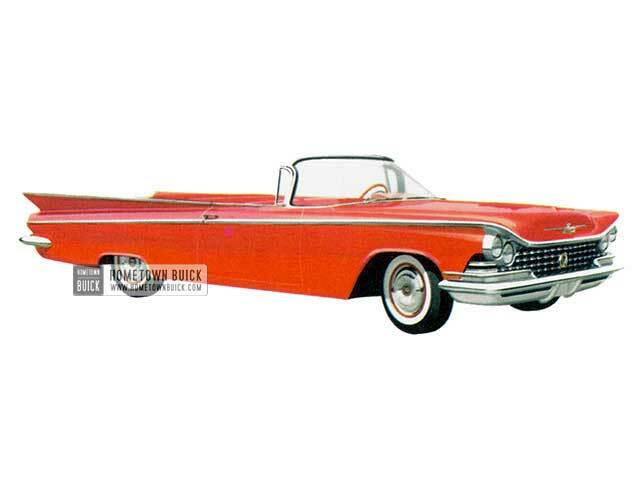 Low-built, rakish lines and sparkling performance make the 1959 Buick Le Sabre Convertible an outstanding convertible in its price class-a roomy, dashing car that's fun to drive and to own. 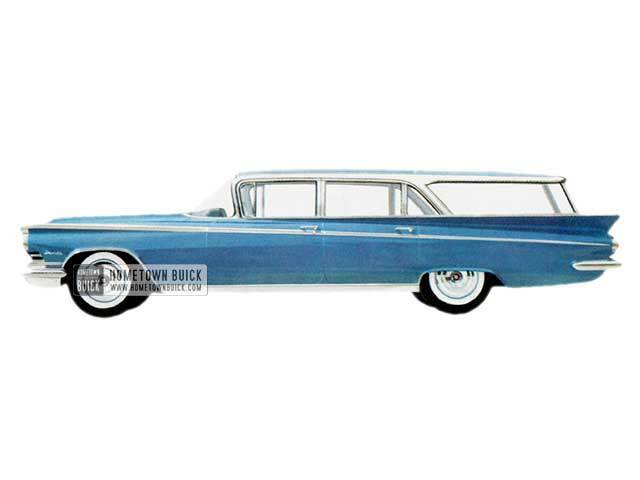 The 1959 Buick Le Sabre Estate Wagon is a fresh new approach to wagon design - easier-riding, easier-loading, easier to look at. 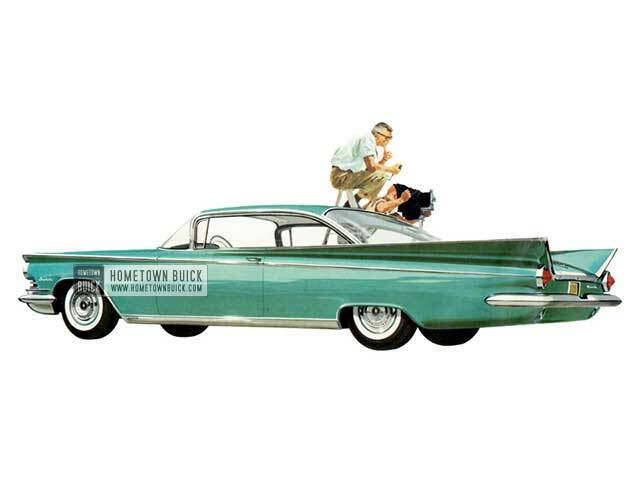 Styled and priced to give Buick dealers a big competitive edge in this fast-growing field. 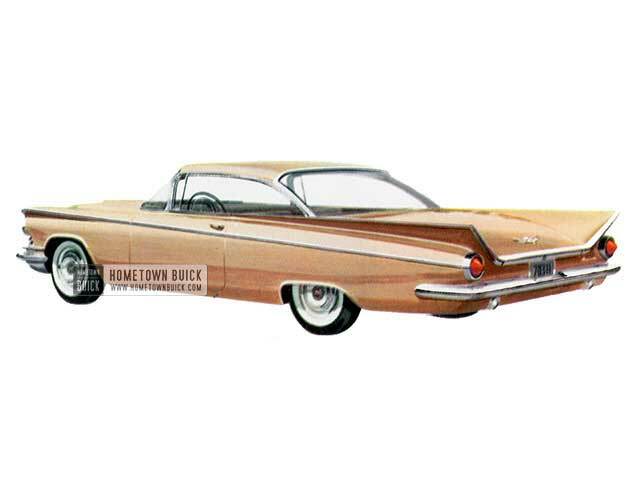 The 1959 Buick Le Sabre Hardtop Coupe is a dramatic new type of hardtop, built close to the ground, and styled close to perfection. It has exceptional glass area with a rear window extending well up into the roofline. 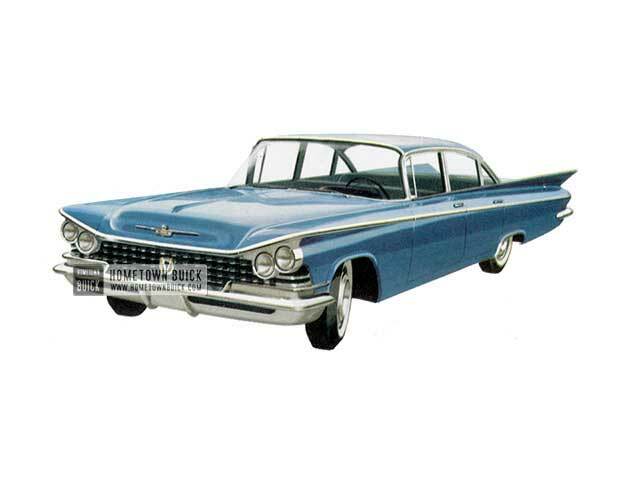 The 1959 Buick Le Sabre 2-door Sedan (Model 4411) is big, handsome 6-passenger sedan with a host of performance and comfort features you and your family would never expect to find at such an attractively low price. 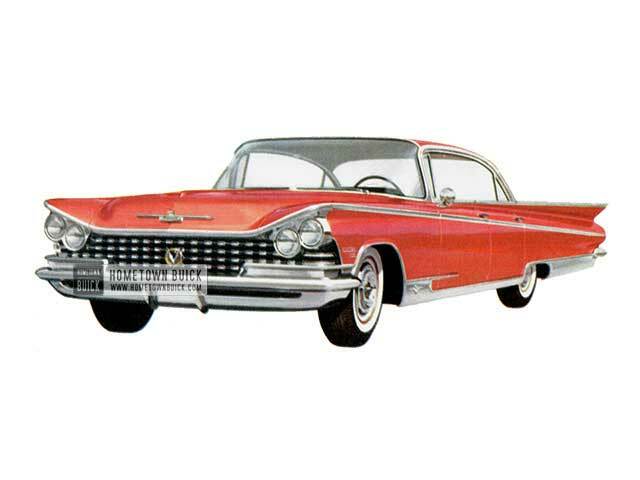 The 1959 Buick Le Sabre Sedan (Model 4419) is a roomy, thin-pillar sedan that's styled like a hardtop. Graceful in appearance, it's bound to achieve ready popularity-especially among large families.